D.J Tree & Garden Services - Fencing/Gates, Garden Services, Landscaper based in Bournemouth, Dorset. 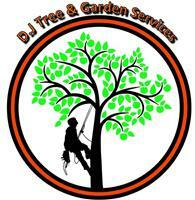 Hello and welcome to D.J Tree & Garden Services, thank you for viewing our page. We are a Bournemouth based small but busy company working throughout Dorset who pride ourselves on going that extra mile for you! Whether you're looking for someone who cares as much about your garden as you do or a company that is highly motivated, on time and with the knowledge and expertise needed, we can help. Our reliable, experienced and highly qualified team will provide a friendly, efficient and professional service. Customer satisfaction is something that we pride ourselves on and we ensure that every job is completed to the highest standard in the safest and most cost effective way. We aim to provide customers with Quality workmanship and Long Lasting work for a competitive price, we assure a beautiful looking finish to all of our work that will last for many years. Trees- We can expertly carry out procedures such as pruning, shaping and branch removal. Hedges- We provide a professional service to trim, shape, reduce, crown lift, or dismantle and remove including stumps. Ideal for those who are after a fancy cut or just want that extra space/light. Fencing / gates - We can supply and erect fences and gates of all shapes and sizes, using the best quality materials. All aspects of fencing to list a few such as featheredge ‘close board’, panel fences, concrete and wood, picket fences, trellises. From small repairs or to complete renews we cater for them all. Landscaping- We pride ourselves on working closely with the customer to ensure you get the perfect job for you and make the most out of your garden area. Whether its raised beds, turfing, decking, patios or slab work, concrete pads, graveling, borders, pathways and even rockeries or decorative stone. As a team we can work to produce the work you dream of. Driveways/Walkways Cleaning- Our team also offer cleaning services to driveways, paths, decking etc. Including sealant re-pointing/sanding and anti-slip decking seal if requested. Our high power machines bring surfaces back to colour and remove all the dirt and grime. If you are a new customer looking for a one off service or a returning client seeking regular maintenance, we will be sure to provide a professional service we know you'll review with a smile! We are registered waste carriers and have 1-million-pound public liability insurance. We welcome your enquiry and look forward to arranging a free site visitation to meet with you personally. All major credit / debit cards accepted ! Bournemouth, Broadstone, Christchurch, Dorset, Ferndown, Hampshire, Parkstone, Poole, Ringwood, Swanage, Verwood, Wareham And everywhere inbetween.